I’ve been doing all this Christmas knitting for next year, but I couldn’t help myself when I purchased some Madelintosh yarn. I just had to start this project for me. I’ve had Julie’s Stockholm Scarf in my Ravely queue for a while now and I thought the Madelintosh was perfect for it. 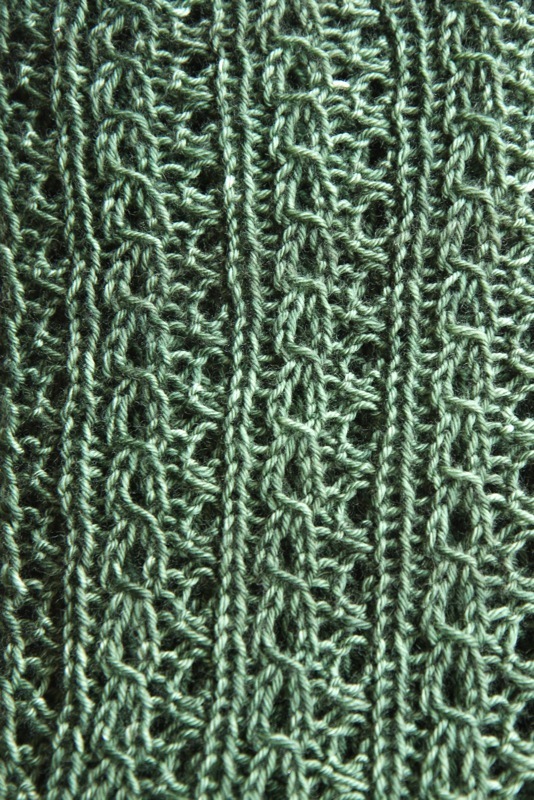 This pattern was fun to knit – there’s just enough variety of stitches to keep you interested yet you can still watch a movie while you knit. 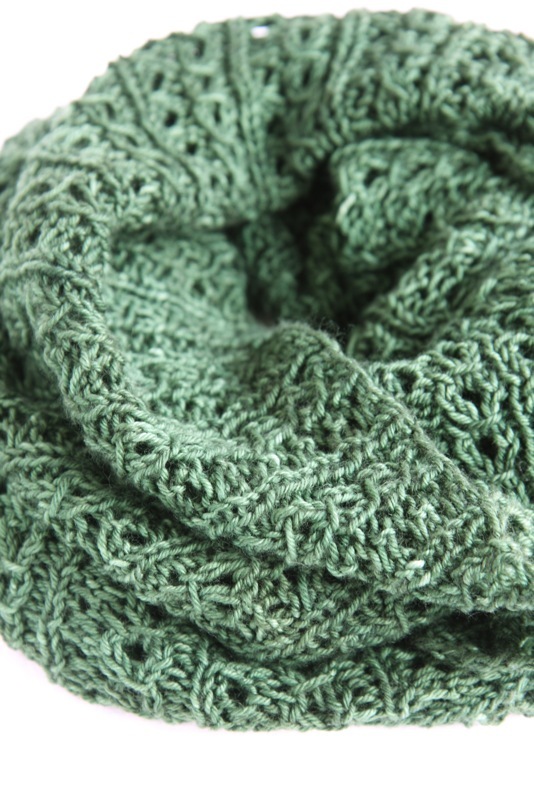 There’s lot of yarn overs and pssos, which create a lofty, super nice scarf. 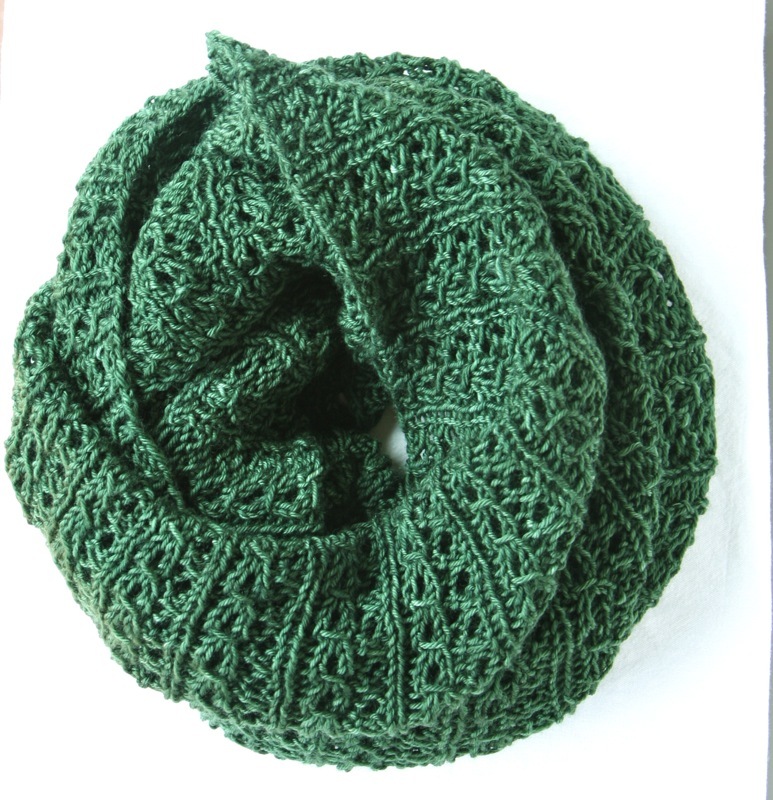 And the Madelintosh is such a gorgeous, soft yarn it was a pleasure to work with. This is really a cowl, which is long enough to double nicely around your neck. I made mine about 15″ wide and used almost all of the Madelintosh. Now if we can just get rid of this heat wave we’ve been having! Very nice! 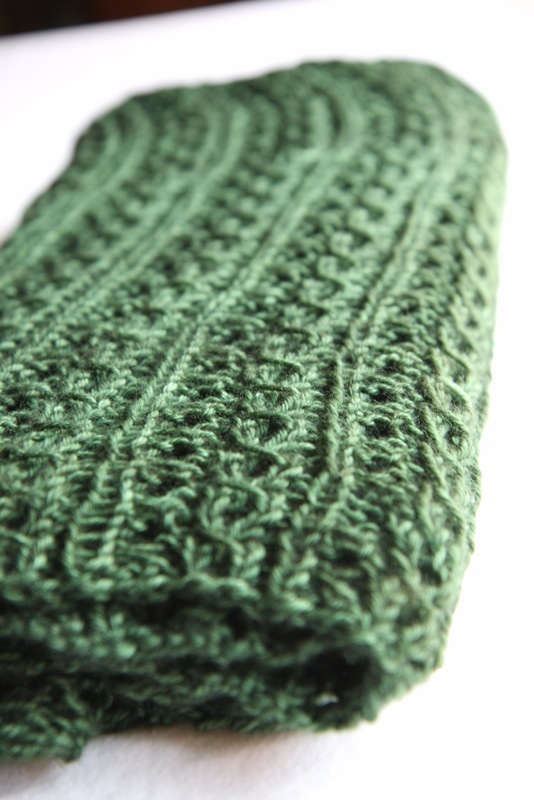 You have to do a “selfish” knit now and again. How else does one stay motivated!? 😉 I love the green and the pattern. Perhaps one of these days I will get to experience the fabled Madelintosh. I read such an interesting article about her the other day. Off to have a look at the pattern now! I like the combination of cables and lace. This is some serious dedication you have to knitting all your Christmas gifts throughout the year. oooh, it’s beautiful!!! I love that rich green you chose, it looks amazing. I know what you mean about the heat, it’s a challenge to knit anywhere there isn’t’ air conditioning these days! nice cowl..u used a circular needle rite?would i get the same pattern if i use straight needle?or is it better if i just follow u<(use d circular needle)?